In general, Backstreet Boys music is more poppy than New Kids, in my opinion. They tends to use more “real” instruments that gives them a bit more of a pop/rock sound as opposed to the R&B base to New Kids music. While they are basically the same type of music, I would wager that you would be more likely to hear Backstreet on a movie soundtrack and New Kids in a club. I wouldn’t say that one is better than the other though. It’s really just a matter of your moods and tastes at any given time. I’m told that Backstreet has more edgy music that the record label hasn’t put on any albums though. As for their voices, it is safe to say that even if you aren’t a fan yet, each guy in Backstreet has a strong ability to lead vocally. All of them sing, whereas Jordan, Joe and Donnie tend to monopolize all of the New Kids solo parts. Both groups have a vocal dynamic that work for them. My advice is to not compare one group against the other, but appreciate the talent that both have to offer in their own respects. Just as we expect Backstreet fans to learn and respect New Kids music, we should return the favor. So now let’s meet each Backstreet Boy. 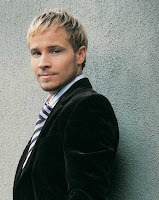 I would describe AJ (Alexander James) as Backstreet’s equivalent to Donnie Wahlberg. As far as the “boy band formula” goes, AJ was and is pegged as the bad boy. He’s a native of Florida and I believe he has some Latino blood in him but I might be remembering that wrong. He has a taste for little dogs. I remember reading a magazine once that mentioned him having a new little puppy called Jack Daniels and he had the puppy in a play pen made for human babies. Vocally, AJ has a raspy voice but carries long notes quite well. He plays several instruments including the acoustic guitar, the saxophone, the bass guitar and the piano. He also has some theater background. For a short time, he did a solo stint as his alter-ego, British rocker, Johnny No Name. AJ has had a long battle with drugs and alcohol. He went to rehab years ago after an intervention that was led by Kevin Richardson (we’ll meet him soon). I believe he has a fiance right now but I’m not certain about that. I would describe Brian as being the most like our Jordan with being more about the music and being somewhat standoffish or shy off stage. Brian is a native of Kentucky like his cousin, Kevin Richardson. He began singing in the church choir just like our own New Kids, Jon and Jordan. As a born again Christian since childhood, Brian has had a lot of solo success in the Christian music market aside from his Backstreet run. He has had a bit of scandal though because he served as a grand marshal in a gay pride parade with his bandmates, which caused several Christian stores to remove his products and stop playing his music. In my eyes, Brian is a true man of God for loving everyone. The thing I remember most about him back in the day is his heart defect. There was a hole in his heart and he had open heart surgery in the 90s. He’s very strong, vocally speaking. He sings lead a lot and he plays the acoustic guitar and the keyboards. He is married to Leighanne Wallace of Atlanta and they have a son together. 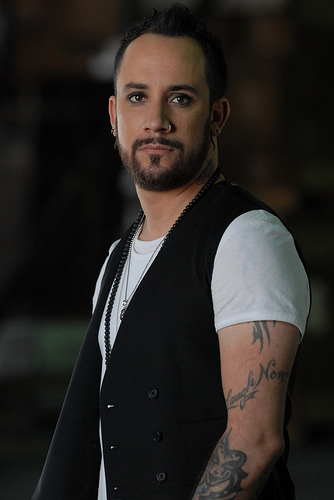 I struggle to compare Nick with anyone in New Kids because he is… well… Nick. I suppose his mouth and attitude can be compared to our Joe and he is also a loud, sometimes nasally singer like Joe. He has a loud, crazy family that was once the subject of a reality show. He also dated Paris Hilton but we won’t hold that against him. Nick is considered “the cute one” as far as the boy band formula goes, like Jordan is stereotypically considered our cute one. Nick brings the younger more hip-hop flavor to Backstreet but he released a solo album a few years ago that I considered more pop/rock. Like AJ, Nick has struggled with drugs and alcohol. He plays the drums, bass guitar and guitar. He has also done a little bit of acting. We call him Howie D or just D. Howie is the flirt, the “Latin lover”, etc. I think I would describe him as somewhat like Danny but he has some of Jon’s pickiness and some of Donnie’s charisma too. Howie is a native of Florida and he’s half-Puerto Rican and half-Irish American. He speaks fluent Spanish. Personally, I think Howie is the weakest vocally in the group, but he’s still a great singer. His start was in theater and he’s an all-around entertainer, meaning he’s a singer, dancer, songwriter and an actor. The thing I remember about him was when we met, he was sipping on hot tea with lemon. That’s his thing. He drinks a lot of hot tea to protect his vocal cords or something to that effect. I can’t remember the exact reason. While Kevin is no longer in the Backstreet Boys, I still included him in this guide because you will certainly hear talk about the glory days when the five of them were together. Kevin is universally known as the equivalent of Jon in New Kids, although they are very different men straight up and down. 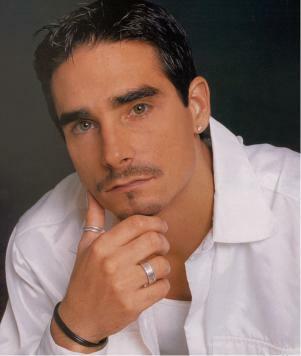 Kevin has done a lot of acting and modeling since he left the Backstreet Boys. He was a Versace model with Ashton Kutcher and he had several different runs in the musical Chicago among other Broadway work. He’s also a composer and very gifted on the piano. He’s Brian’s maternal first cousin and he has a wife and son. Vocally, he’s smooth and a bit on the R&B side, sort of like the way Jon sings (if you’re lucky enough to catch him singing). The thing I remember about Kevin is how tall he is (I think he’s over 6 feet) and he smelled like Mexican food when we met. I adore him. Jon was my first love and Kevin was my rebound guy. Now that you know the basics about the Backstreet Boys, learn some of their music. Follow these links. >Aj does hve fiancé but he's not Latino decent. His dad lives in France & parents seperated when he was 4. He also recently finished a solo cd (I think will be out in Jan of this yr). Howie isn't the weakest, some wld say Aj is. I don't think any of them r weak singers. Nick is like Joe. Loud, annoying. AJ is the bad boy like ddub. Howie is more like Jon. And Brian I think is like Danny & Jordan. Howie married with one son, Brian married and son is Baylee, AJ engaged to Deana Kiriakidis. Nick has movie out in theatre only in Canada. Great work on the blog. Just thought I'd give u those details. >Very nice! I have some things to add on the BSB side though, if you don't mind, just stupid fangirl things to help the blockheads join in the bsb fun. I'm not sure if New Kids have a way of saying good bye to each other but BSB girls sign things/ say " Keep The Backstreet Pride Alive"
>Thanks for starting this. I could teach a class on the Backstreet Boys, lol. Yes, I was THAT fan from the ages of 12-17. I've simmered down some. I'll stick to the cliffnotes version here though. Before I forget- @michaela Kevin had a lot of nicknames but the most popular one was Train. He got that nickname from Nick because he says that when Kevin gets so focused on something a train could pass right by him without him noticing. I have to disagree on Kevin being Jon 2.0. With his postion as the oldest and the looks, yes that applies but personality wise Kevin is more like Danny. I would say personality wise and with their positions as singers in the group Howie is the one most comparable to Jon. Knowing what I do about both groups I'd say the 'formula' is: Donnie-AJ, Howie-Jon, Danny-Kevin, Joey-Nick, Jordan-Brian. I also have to disagree that any of them are weak vocally(I would have said that about Nick years ago but not now). They are amazing accapella. AJ's solo CD is out already, not in the states but you can order it on Amazon, called "Have It All". You can search youtube to hear the tracks. One track is called "Sincerely Yours" which discusses his relationship (really lack thereof) with his father. Brian, Nick and Howie are also in the process of releasing solo CDs (Howie's has been in the works for some time and is supposed to be Spanish/English) Nick's previous CD is called "Now or Never" and was released in 2002 if anyone would like to search for it, again YT provides some of the songs. Backstreet Boys remain widely popular in many places: Europe, Australia, South America to name a few. In fact, before the release of their CD "Black and Blue" they went literally around the world in 100 hours doing interviews/performances on 6 continents! This bodes well for our guys (NKOTB) if they're wanting to get around to more places. Brian and Kevin are cousins! (That's become a running BSB fan joke thanks to Kevin but it is true). Don't be surprised if during concert Brian stops singing to say "hello!" and wave. He's been doing that for years. Howie has/had a habit of winking at fans during shows. He's also the one most likely to dress 'snazzier' on and off stage(think Armani). AJ has a serious weakness for shoes and shades. They distract him very easily. Nick has a younger brother, Aaron, also a singer (started at the age of 10) and is in studio currently as well. Nick recently made his directorial debut in a 'short' called The Pendant. The boys all play various instruments. Howie started the Dorough Lupus Foundation when his sister unfortunately passed of the disease,and he's previously done foundation cruises. Brian has the Healthy Heart Club. Nick and Kevin have previously been vocal about enviromental issues. AJ supports Juvenile Diabetes Research. Backstreet Boys fan motto is "KTBSPA!" so don't be shocked to see a sign or two in the audience. It stants for Keep The Backstreet Pride Alive! Ok I'm stopping now. Anything anyone else wants to know as me (@kita_k1freak). I'm sure I can answer. Note: Just to clarify previous posts, AJ is also of Latino descent. He's 1/4 spanish on his mother's side. >Just thought i'd add that i remember Kevin having the nickname Bo (pronounced boo), his son's name is Mason, also AJ does have spanish blood (Puerta Rican and Cuban) as well as German, English and Scottish (go to link and go to 4:22 to see them talk about their nationalities http://www.youtube.com/watch?v=r1Iqyh3GsFI ). >^I'm noticing some typos, sorry all. I should have previewed before posting. That's what happens after you've been writing tons and your brain is mush. >The vocals of each Backstreet has certainly changed over the 17 years they've been together. Howie–he actually has the widest range of all the Boys, but harmonically he sings falsetto–he has an easy, unstrained falsetto. And with the changes of the next two mentioned, he and Nick have become the backbone vocals of the group. Brian-lead tenor-but in the past also sang falsetto easily. Now? Not so. Don't know exactly what has happened to Brian's voice, but it has gotten very dodgey recently. I'm wondering if he has vocal polyps and I hope he gets it checked out. Soon. Kevin–not here anymore, he was the "bass" of Backstreet's harmonies even though he is actually a tenor/baritone. I heard him sing in Chicago and he has a GREAT voice that should have been used more–warm and I hear more of a country vibe in it rather than "R&B". AND NOW FOR NICK–what can you say about Nick. Starting out at 12–he was Michael Jackson personified. Young, nasally–and incredibly high pitched. Then he developed this babyrocker raspy groaning, aching cross your legs ladies voice out of nowhere to add to his mix. And now? Somewhere after Parisgate and around the time of his reality TV show he did some vocal training. 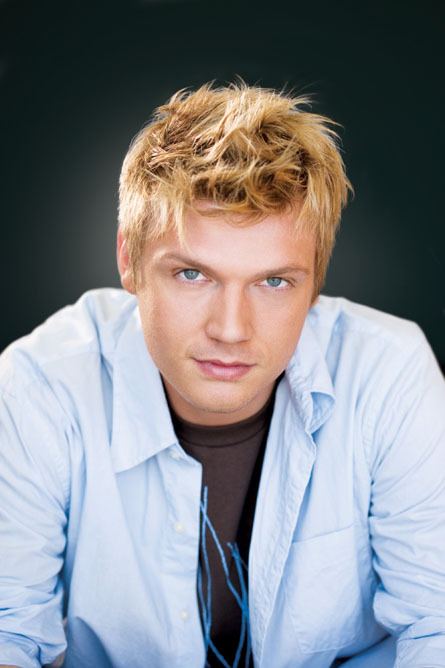 Combined with a final maturation of his voice–Nick Carter is now the STRONGEST vocally of that group–at least of their live performances. He and Howie stay on pitch, and hold the volume up for the vocal polyphony that is the hallmark of Backstreet harmonies.